This highly rewarding work goes back to a time when theological discussion was not considered "heavy". It contains an inspirational treatment of the subject of conversion, and sees faith as creating fresh possibilities that can lead to great accomplishments. In modest, inspiring, but still powerful language, it puts forward many important ideas using a sensible, logical plan that helps the individual interact with God in his new-found spiritual life. 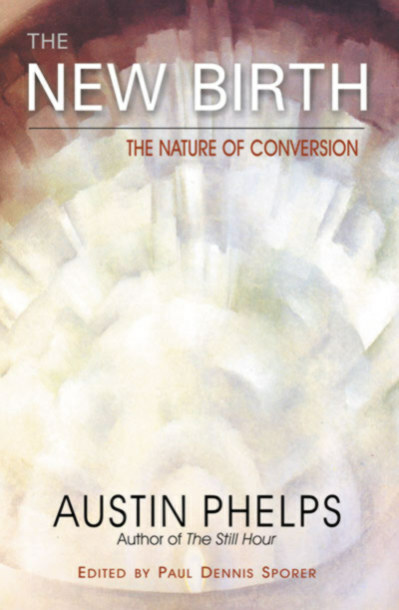 As the title suggests, The New Birth views the concept of conversion as a momentous, singular event. Austin Phelps discusses the topic in relation to the subjects of guilt, self-respect, ritual, laws, mysticism, regeneration, the power of truth, the role of the preacher, and personal responsibility. Phelps strikes just the right balance of advice, admonition, dogma and social commentary. His writing is almost poetic, yet it is also steady, careful, straightforward and compelling. Although he saw great value in the spreading of ideas through preaching, Phelps thought this form of address as more than a lecture, indeed, it was a kind of conversation, where people could stop to think, ask questions, and proceed to learn further. The author understood that the profundities of Christianity could not simply be laid out in the course of a half-hour; they needed to be expounded upon, carefully with a great diligence and earnestness, in direct language that does not trivialize, but still maintains the purity of the fundamental concept. The New Birth is a much needed book that beautifully, precisely and succinctly explains the Christian concept of re-birth. Read an excerpt from the The New Birth.